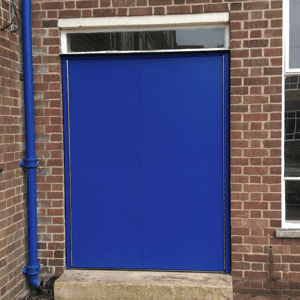 Available in a range of colours, all doors on escape routes leading towards a final exit should be quick and easy to open without the need for a key. 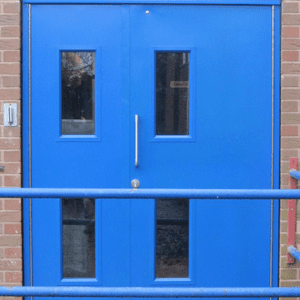 Our doors are manufactured in 1.5mm Zintec for strength and fully supported. Electric strikes An electric strike works in conjunction with a conventional mechanical lockcase to retain the latch or deadbolt in the striking plate and then release it on demand. Electric strikes are available to work with either latches or deadlocks, but the basic operation is similar, in that the bolt is held behind a moveable pivot, which is electrically released. Once released, pushing/pulling on the door causes the pivot to swing out of the way, allowing the door to open. Electric strikes are available in a wide variety of types with holding forces ranging from 3kN to 10kN plus. Electric strikes are available with both fail-locked and fail-unlocked mechanisms. Solenoid Latch A solenoid latch has a similar operation to an electric strike, but in this case it is achieved by the double action latch being freed to move back into the lockcase. When the lock is released, the door can simply be pushed/pulled open. Typically, these locks only have the option for a key cylinder to provide mechanical override, restricting their use on escape routes. These locks typically have a holding force in the region of 5kN and are usually available either fail locked or unlocked, but this can depend on the manufacturer. The Regulatory Reform (Fire Safety) Order (RRFSO) 2005, which came into force in October 2006, charges the responsible person(s) in control of non‐domestic premises with the safety of everyone, whether employed in or visiting the building. 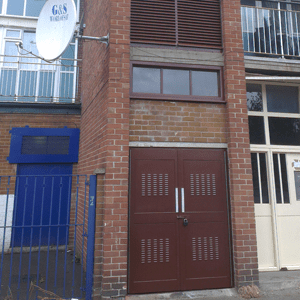 Under Article 14 of the RRFSO, this duty of care includes ensuring that “routes to emergency exits from premises and the exits themselves are kept clear at all times” (14: 1) and that these “emergency routes and exits must lead as directly as possible to a place of safety” (14: 2: a). 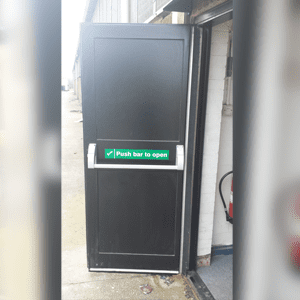 In other words, the entire escape route up to and including the final exit from a building must remain unobstructed at all times, while the distance people have to go to escape (the travel distance) must be as short as possible.